Ben Coleman is an award-winning writer originally from and currently living in Portland, OR. He's a film critic and feature writer for The Portland Mercury, covering film, video games and and at least one accidental anchorite. He's an occasional sketch writer for the nationally syndicated Live Wire Radio, and recently won "best writing" in the 2015 Portland48 Hour Film Project for the short film "Astrodame Odyssey". In 2015 was selected to present his original play "Punching & Wizardry in Action/Adventure Theater's "Pilot Season" serialized play showcase. 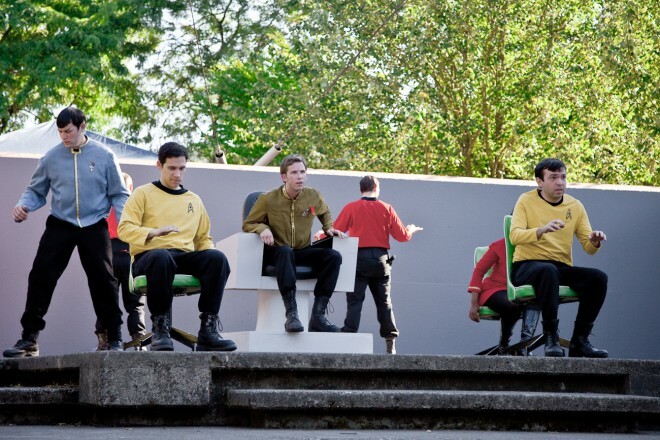 For three seasons of Atomic Art's critically acclaimed theatrical Star Trek adaptation "Trek in the Park" he played a number of beloved Trek personalities, including "Arne Darvin" "Helmsman Hadley" and "Guard #2".